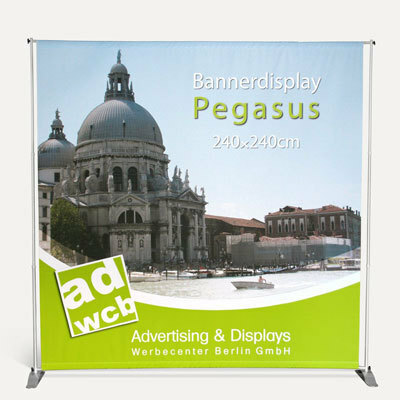 Banner display "Pegasus" is the biggest of its kind regarding stretch banners. 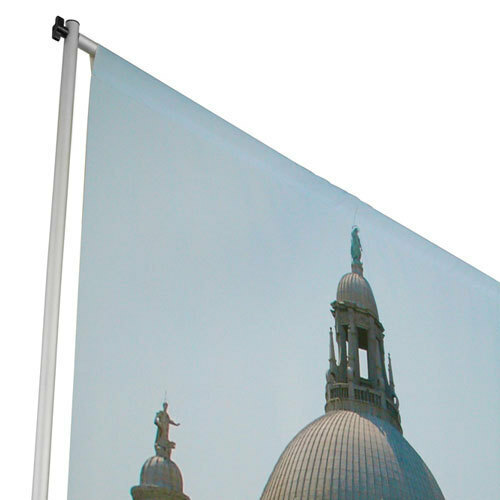 The material is made of fabric "Deko Texx" and is B1 certified (fire safety class), so it is ideal for the use on events and concerts or as press decoration and photo background. 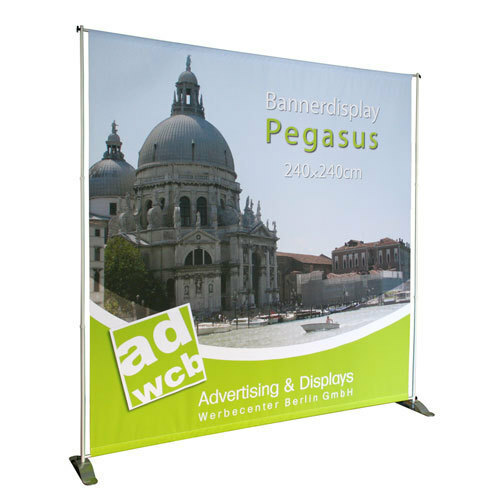 For many trade shows the certificated material is mandatory. 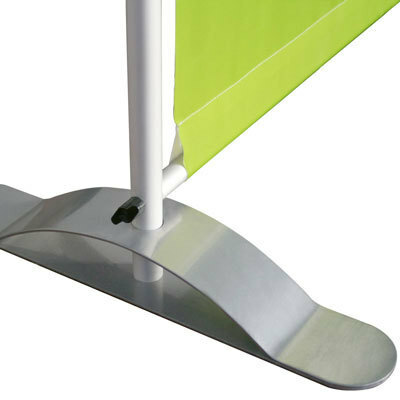 The height and width are adjustable by its telescopic poles for a custom set up and design. All components of the lightweight construction will be delivered in a carrying bag. 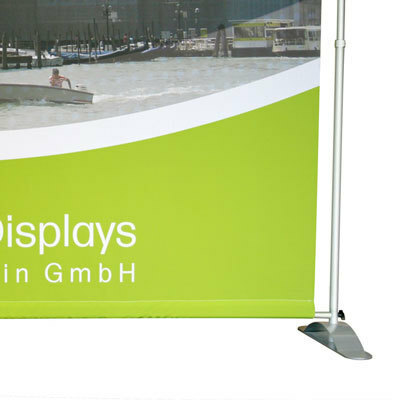 The Banner is manufactured with hemstitch on the top and bottom to attach the print easily to the display system. EBB e.V. Europäischer Berufs- und Fachverband für Biosens e.V.